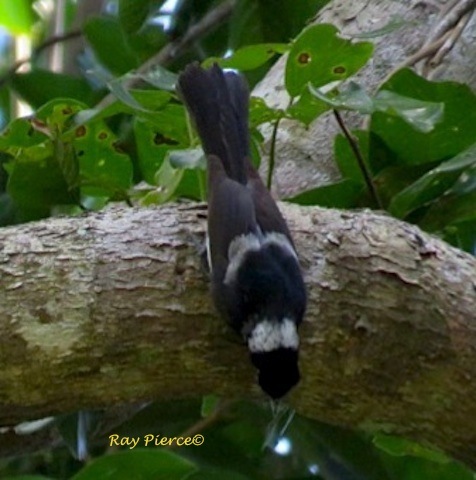 Acting like a tree-creeper, this and the Pied Monarch energetically flitter and hop up tree trunks and limbs. Their tails are usually partly spread. The Frill-necked Monarch uses his frill during the courting display.